All of this talk of inflammation reminded me of a poster I saw in a Chinese medical hospital room years ago. It basically outlines both appropriate and inappropriate combinations of food. This Chinese-medicine concept seems to be the foundation of the theories in The Plan book. It seems this ancient concept, which can help us better understand how our bodies work, has worked its way to the discussion table of American households. The most important aspect of Xiangsheng Xiangke is to balance the “5 phases” or elements. In ancient Chinese practice, the five phases are focused more on changing states and their interaction with one another. These are represented as metal, wood, water, fire, and earth. (金、木、水、火、土). 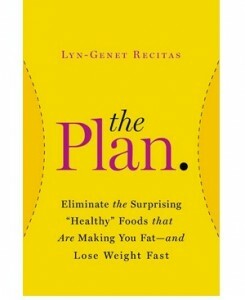 The idea that the different foods you eat combine in positive or negative ways is a biproduct of this system. [This system is also called Wu Xing and plays an important role in Taoism-religion, Tai Chi-martial arts, and Feng Shui]. This rabbit hole goes pretty deep, so I’d like to just focus on how food is represented in the 5 Phases and how it can be used for the benefit of your health. 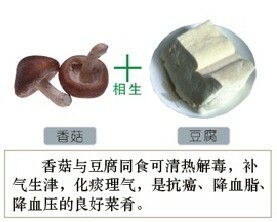 + In this example, we see mushrooms and toufu are compatible foods which can be eaten together. Traditional Chinese Medicine suggests that mushrooms and toufu can ‘reduce internal heat’ as well as increase levels of Qi, reduce phlegm, improve circulation and the immune system. 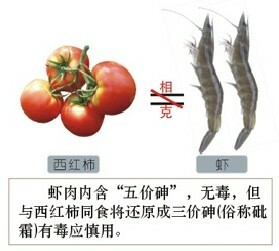 – Based on the principles of Xiangke, these two foods should not be consumed together because they produce ‘arsenious acid’ when combined and cause harm. You should use them cautiously. Now, all of this might seem strange to the common person who hears reports about the bad effects of Soy, but eats shrimp with cocktail sauce at special gatherings. Don’t worry – You are doing nothing wrong. The mystery of food is that it combines and reacts in different ways. We can’t constantly be aware of the effects of EVERY healthy thing we eat. That would just be overdoing it. But you could learn more about traditions and how humans have eaten for thousands of years. Before TV and the Internet started telling us what to eat. For the next few weeks I’m going to disect the poster that you see above. 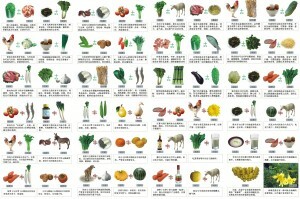 I’ll translate the Chinese and relate what it says to things in our common Western diet. There might be a few hidden gems in there for you!